Welcome to the first urbanlight photographer’s guide. 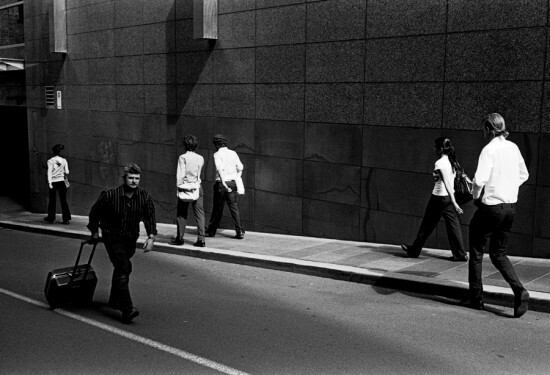 In this ongoing series I will focus on some of my favourite Melbourne shooting spots and themes. New Chancery Lane, is a worthy opener, a location that delivers. 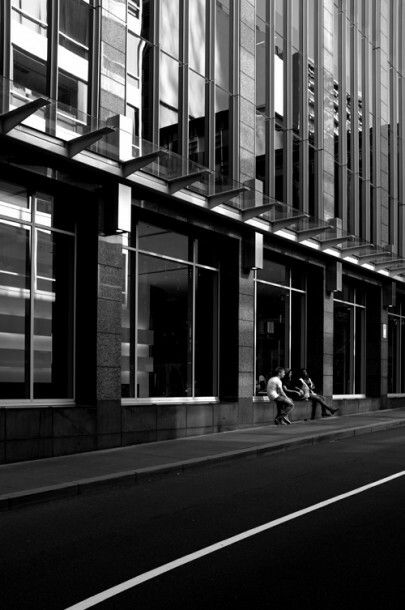 The 2005 development of the RACV headquarters at 501 Bourke Street gave Melbourne a new north-south laneway,New Chancery lane. This street has become one of my go-to locations when testing a new piece of equipment or film, or when I’m just not “feeling it” and need a creative jolt. 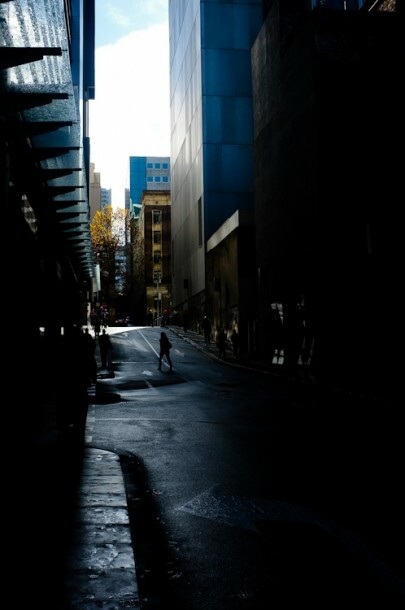 The section of Little Collins Street between Queen and William Street was originally called Chancery Lane .[break]. 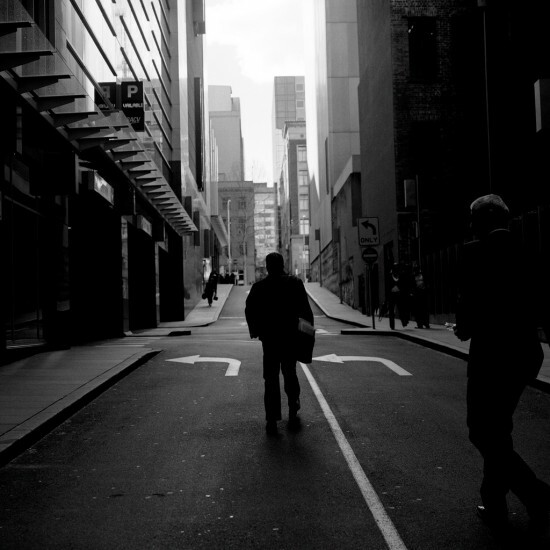 Chancery Lane was so named as it was once the hub of Melbourne’s legal precinct. Some of the more impressive buildings at the Little Collins Street end of New Chancery Lane are indicative of that legal past – Normanby Chambers, Stalbridge Chambers and Temple Court being the most conspicuous examples. Let’s be honest, the light is why you came, and it’s why you will return. New Chancery Lane receives interesting direct and indirect/reflected light throughout the day. In the a.m. light reflects from the windows of 485 Bourke Street and falls onto New Chancery Lane and the walls of 473 Bourke. This is worth getting up for. During the hour or so when the sun is above the lane light reflects off various features (lights, traffic signs, alarms) that extend from the walls of the buildings along New Chancery Lane creating interesting reflected light points. In the early afternoon the light can be less spectacular but the polished walls of 473 Bourke do cast beautiful softer light across the scene. 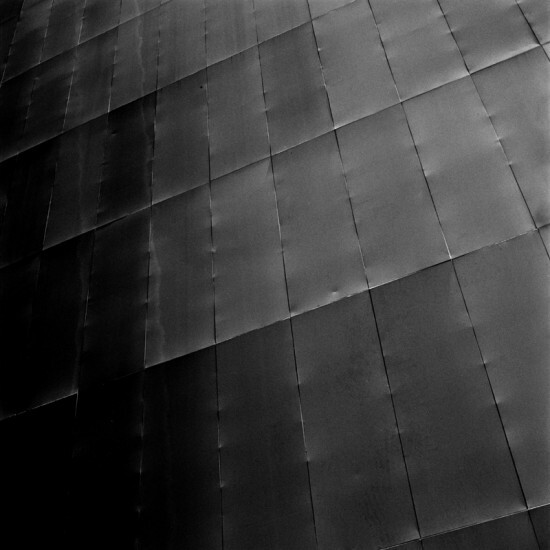 At night the streetlights that are a feature during the day pinpoint some of the textures along the street. 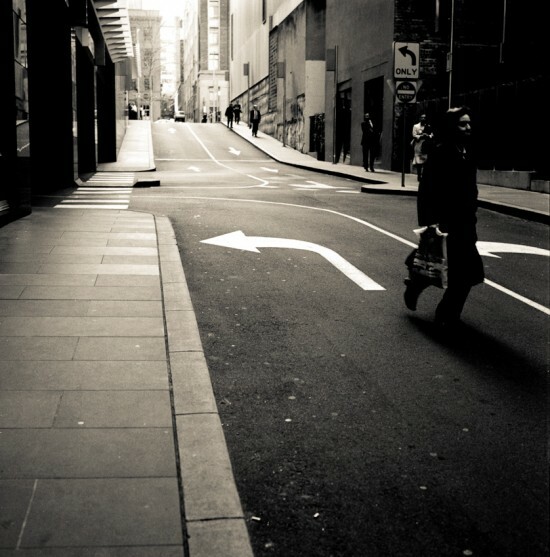 New Chancery Lane is the only thoroughfare between Bourke Street and the popular eating and drinking locations of Little Collins Street between Queen and William Streets. This guarantees a good flow of pedestrians of all types. 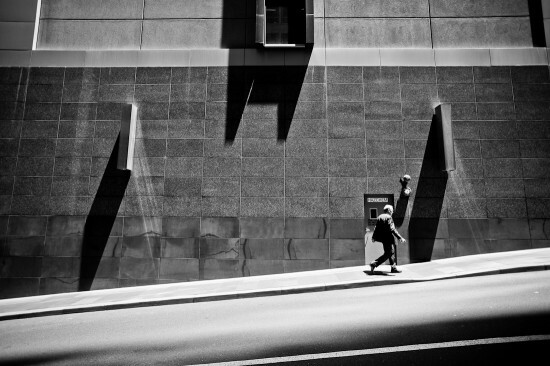 The steepness of the road, narrow footpaths and the angle that sunlight hits the location adds to the interest. There is a rather unusual driveway entrance servicing 473 Bourke alongside New Chancery Lane., I challenge you to not think of The Thunderbirds theme if you happen to see it in operation . A section of the external wall of 473 Bourke was not clad after New Chancery Lane was created leaving the concrete foundations exposed. This provides an interesting textural backdrop. Towards the Little Collins Street end of New Chancery Lane a wall of small potted plants at Bistro Vue’s, outdoor seating area is another point of interest, along with the wide pedestrian crossing at the RACV’s car park entrance. New Chancery Lane is a Private Lane, it exists to enable vehicle access to the RACV city club. It’s important to remember that you are shooting on private,and not public land. This means that guards and other authorised personnel can ask that you move on, please respect their requests as they are within their rights. The clad facade of 473 Bourke Street appears smooth and hard throughout the day, For a minute or two each day however, when the sun swings around past the edge of the building each hammer mark, scratch and dent stands out as the sun skims the building’s surface. The exposed foundations of 473 Bourke. There was no doubt some sort of “issue” about this during the development of the street, let’s just hope they never get around to resolving it. 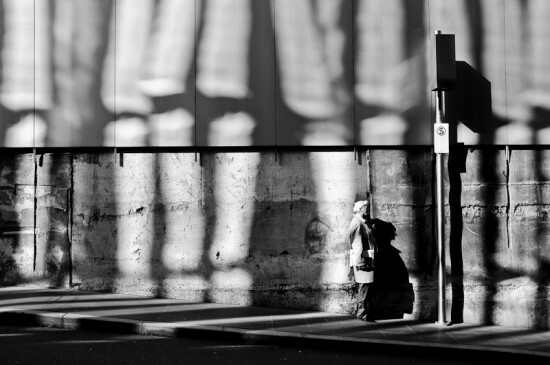 Light reflecting off the stainless steel housing of streetlight on the wall of 485 Bourke. 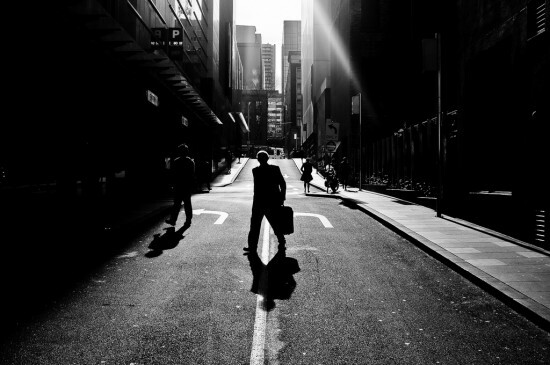 Being the only thoroughfare between Little Collins and Bourke streets on the block, New Chancery Lane guarantees a steady flow of foot traffic. 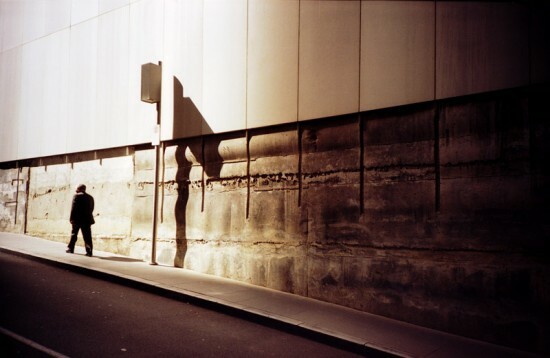 Shot taken mid summer – note the different angles of reflected light and the short shadows. 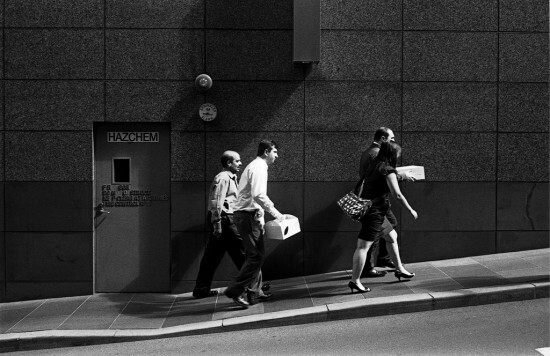 New Chancery Lane is such a versatile location that just about any camera will get you results. The set of images in this post are indicative of that. My personal preferences are a wide angle lens (17mm or thereabouts) and a 50mm. Most walls are dark or fairly neutrally coloured with only the red awning at Cafe Vue and parts of the exposed foundations of of 473 Bourke being points of colour. 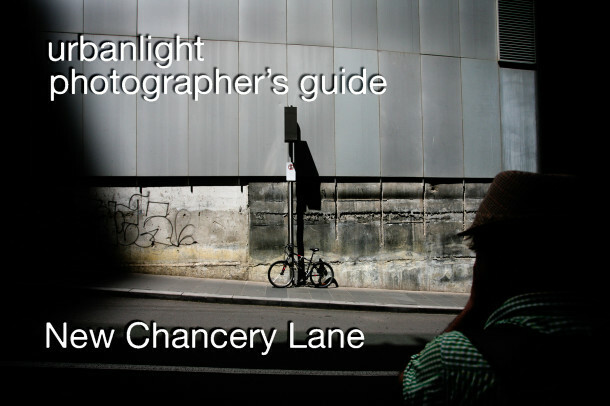 To capture the light play on New Chancery Lane you are best advised to visit when the sun is at its highest point for the day, (in Melbourne between autumn and spring this is usually around 1:22pm). 30 minutes either side of that time will let you see the sun fall on each of the buildings flanking the lane. 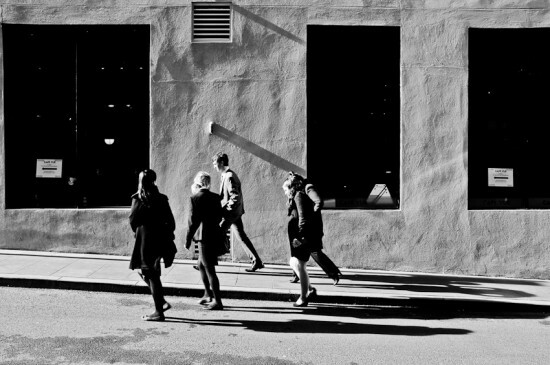 Earlier in the day can offer some great reflected light opportunities. The light varies with the seasons, and the sunlight falls at a more appealing angle May – September, but don’t let the season put you off, give the location a go. 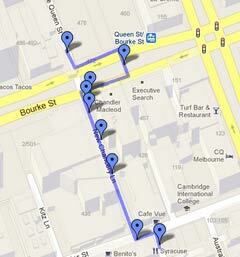 Here is a google map walk-through of New Chancery Lane. 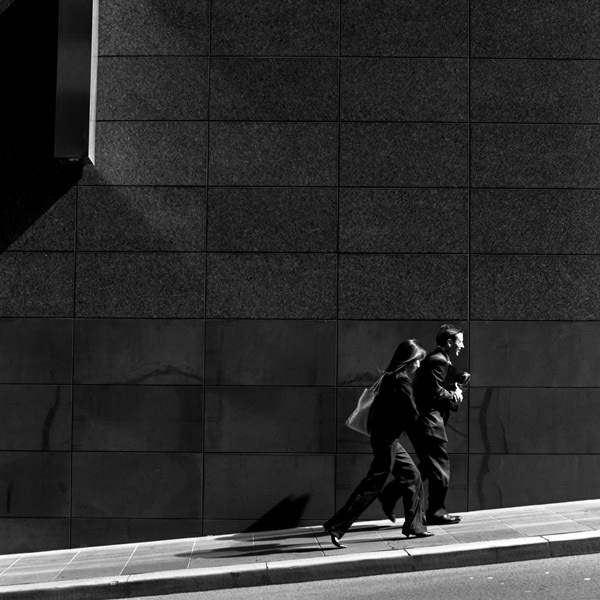 There is a New Chancery lane group on flickr, please add your images. This gallery of images highlights some of the features to look out for. Chancery Lane listing in eMelbourne. Share your New Chancery Lane pics in the flickr group or show me what you’ve got via twitter (@ziz) or instagram (@misterziz). I’d love to hear more ideas on what you like about the location. Any feedback on ways to improve this and future photographer’s guides will be massively appreciated.